Around The Basin Bike Tours has been operating on the Queenstown Trails since they where officially opened by Prime Minister John Key in October 2012, offering Supported and Guided Bike Adventures as well as a Bike Shuttle Service within the Wakatipu Basin and Southern Lakes Region. Around The Basin is owned by two Queenstown locals Steve Norton and Lisa Cooper, both passionate cyclists with over 25 years of involvement in the adventure tourism industry. 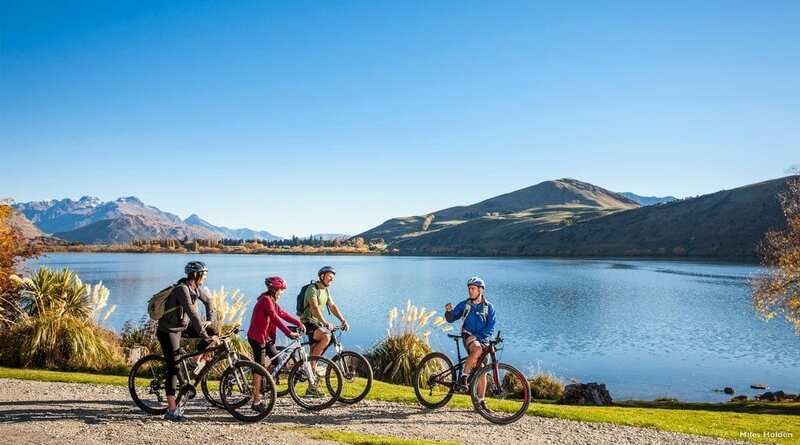 The Around the Basin (ATB) target market is Grade 1 to 2 riders wanting a quality mountain biking experience in one of the most beautiful areas of New Zealand renowned for its spectacular scenery. The purpose built Queenstown Trails wander through the basin, past two lakes, three river gorges, historic Arrowtown, the wine area of Gibbston Valley and countless mountain ranges. The trails that ATB utilise are all off road.